Andrei has successfully advised clients on international corporate transactions for two decades at UK and US-based law firms Allen & Overy, Latham & Watkins, and Akin Gump Strauss Hauer & Feld. He graduated from the law school of the Moscow State Institute for International Relations (MGIMO). Best Lawyers ranking consistently recognizes Andrei as one of the best lawyers in Russia. When not behind a desk, Andrei is an active athlete competing in international triathlons all over Europe. 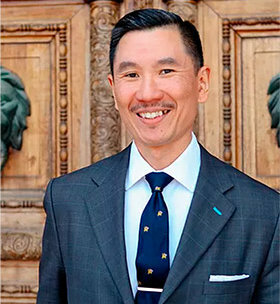 Edwin Tham is a Partner at Danilov & Partners and the head of the firm’s Asian practice. 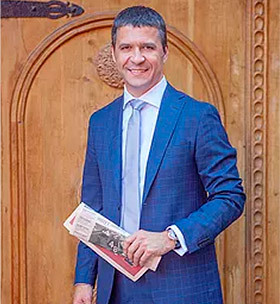 Before joining the firm, Edwin was the managing partner of the Moscow office of a top-tier international law firm, and also led its corporate practice. He is qualified as an English solicitor, Singapore advocate and solicitor, and New York attorney. He received his law degree from the University of Nottingham and was called to the English bar (Middle Temple). Edwin has advised extensively on M&A and finance transactions in oil and gas, oilfield services, mining, banking and insurance, TMT, retail and private equity sectors. For already 10 years, Best Lawyers ranking has consistently recognized Edwin as a leading corporate/M&A lawyer in Russia. Nato Tskhakaya is a Partner at Danilov & Partners and the head of the firm’s antimonopoly practice. Before joining Danilov & Partners she worked in the Moscow office of Akin Gump Strauss Hauer & Feld. Nato has significant experience advising on corporate and antimonopoly issues and representing clients in M&A transactions. 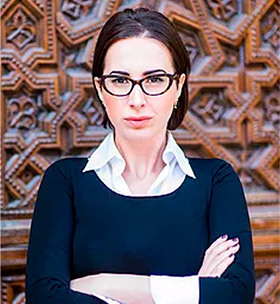 She has represented Russian and international oil and gas companies, diversified holdings, and private equity funds. Nato graduated from the law school of the Moscow State University in 2007 and received her Master of Laws (LL.M.) from Duke University School of Law in 2010. Nato is fond of sports, movies and music.